Lawyer Trial Forms ™ — known for “a standard of excellence” in its legal forms for deposition question outlines, discovery, litigation, trial, and the efficient management of litigation. Legal forms carefully designed, painstaking considered, then edited by a top trial lawyer. You will feel secure in the knowledge that you have been efficient and thorough in your preparation, in litigation, discovery, and trial. 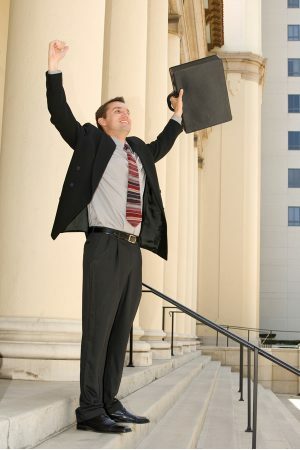 Our litigation, discovery, and trial forms move you ahead of the pack! This site lists all our legal forms and checklists, including deposition and trial question outline checklists, witness preparation aids, case and litigation management forms, settlement forms, an attorney fee awards handbook (includes forms), a trial notebook (includes forms), and more. Whatever you buy from us, please know that we have a reputation for detail and thought. Our outlines, checklists, and forms are designed using 30 years of experience in deposition, discovery, and trial. The tactics tips articles, and the trial notebook for lawyers, give you top gun attorney advice. Our pattern deposition outlines, in question checklist format, and our witness preparation advice forms are built on battle-tested psychological and litigation tactics. You save time. Don’t reinvent the wheel. Use a form. Good forms are always a faster way to get where you want to go. You get legal form products written or edited by a top trial lawyer. You get a mentor and guide. You get top gun attorney advice. You get added power to your case, from the start of the case, through the discovery and depositions, and to the end of the case by settlement or trial. Legal and psychological tips and tactics, and power tips that are battle-tested. You get the form delivered electronically to you as a final part of the purchase process. Start just minutes from now. No matter how many attorneys in your office or how many assigned to work on the case, it always comes down to one individual lawyer who is working on the case that minute. If that individual is you, you will benefit by deposition, discovery, and trial forms and systems that organize you, smoothing your way and moving you forward quicker, better, smarter. Here are the case management guides, helps, and organizational tools that they did not tell you about in law school. Checklists and forms for all sorts of cases, for both the plaintiff and also the defendant attorney, for not only depositions and trials, but also tips and tactics for the entire course of the litigation, all the way to a superior trial notebook system ready for the entire course of trial, from motions in limine to your summation to the jury. Use the links on this page to go directly to subareas of the product catalog that deal with litigation forms that are customer favorites. These include deposition question checklists, for several areas of litigation, including: the facts of motor vehicle, premises liability, and product liability and the medical, commercial, or other elements of damages. “[Your forms are] … far superior to the forms in the usual printed forms book! I bought several. Trip and fall, plaintiff and spouse damages, investigating officer, car crash. They were very thorough. I really like them.” From a “name partner” in a well-known Illinois law firm, with lots of verdicts to their credit.